Modern couples these days are no longer dependant on their parents to get their wedding planning sorted. Except a minor to major financial assistance here and there, contemporary couple more or less know what and how they want to celebrate their big day. If you or your spouse is taking full responsibility of the wedding budget and looking for smart ways to cut cost, we’ve got some amazing hacks to help you pull this off with ease without making your celebration seem cheap. Keep the celebration close and intimate: Because all you need around you is just people whose presence matter, it’s not an obligation to cater to thousands of which hundreds you don’t even know. No need to hire fancy cars: Because it’s not necessary you need to arrive in a Mercedes or Jaguar. Use your own or borrow a friend or relative’s car and design with DIY decor. Buy, don’t rent: Because the items you buy can be later used for your own home or given away as favours. Renting will cost you more than actually buying items, such as centrepieces (they needn’t be all the same, you can have different centrepieces for each table), lanterns for aisle decoration etc. Hire associate photographers: Your wedding budget is restricting you from hiring the ace photographers whose work you’ve been pinning on your Pinterest board, request for an associate wedding shooters availability that will cover your wedding for less. 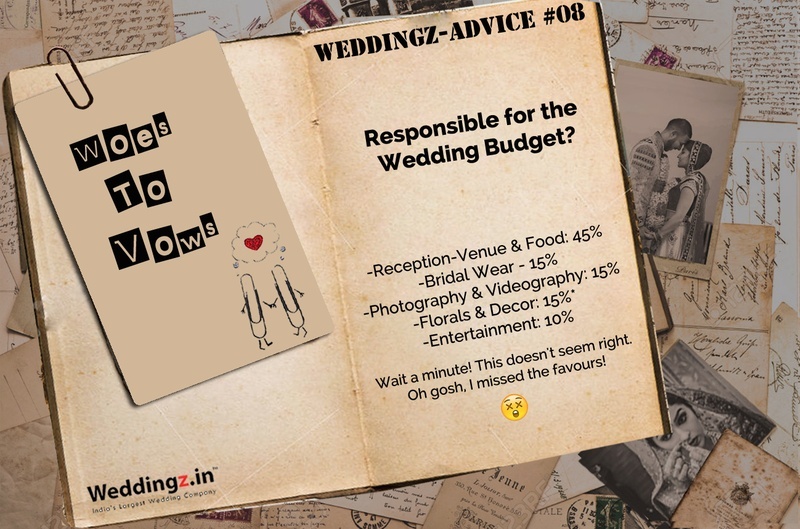 If you think all of this is way too much to digest on your plate, pass it on - Hire a Wedding Planner!